Filing for divorce or legal separation in San Jose, California, may be overwhelming. 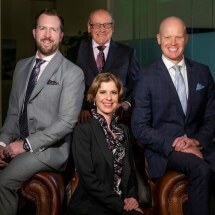 At the law office of Hoover Krepelka, we work with clients who face family law issues involving child custody and visitation, child support, spousal support, domestic violence, property division, settlement modification, prenuptial agreements, postnuptial agreements and grandparents' rights. We understand the strong emotions and high conflict dynamics that are often involved with these types of matters. Our compassionate legal team partners with, and advocates for our clients to achieve the best potential outcome. Our law office has been relevant and active in the Santa Clara County family court system since 1960, and has successfully won hundreds of high-profile, multimillion-dollar cases for our valued clients. Testimonies left by past clients speak of our strong dedication, expertise and tenacity for what we do. Our esteemed attorneys are members of prestigious organizations, including the California State Bar Association, Esteemed Layers of America, National Association of Distinguished Counsel, Lawyers of Distinction, Super Lawyers and the American Institute of Family Law Attorneys. The law office of Hoover Krepelka is pleased to offer complimentary one-hour initial consultations to individuals in Santa Clara County who wish to find out more about our services and how we may be able to help their specific situation. During the session, our attorneys will listen carefully to the circumstances surrounding the case, answer questions, and will help outline a strategy to efficiently move forward in a way that is best suited for each client.